Yo La Tengo return with what appears to be their fifteenth album, and their first album of original material since 2013. 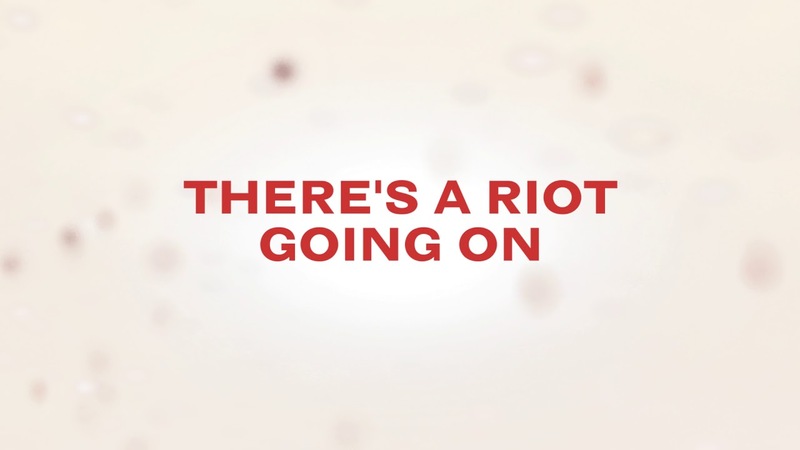 Considered by some as the ultimate record collector geek-rock band, by titling their album There’s A Riot Going On it suggests they are channelling the dark soul of Sly Stone. Though the music contained doesn’t particularly evoke the early 70s soul sound, it’s not what you might typically expect from Yo La Tengo either. The band’s sound has evolved gradually over thirty years or so, moving away from the heavily Velvet Underground-indebted sound of their early material. Harsh, punky guitars are entirely absent here, and these days Ira Kaplan sings in more of an intimate whisper than his Reed-y growl of yore. The album opens with the droning, atmospheric instrumental track You Are Here, built largely on keyboards with a sparsely plucked electric guitar and what appear to be sleigh bells in the background. First song proper is the upbeat, Georgia Hubley-sung Shades of Blue, which channels an altogether different side of the soul coin, 60s-era Jackie Wilson. The strange, off beat She May, She Might follows before we get the first must-hear track. Introduced by ringing, gauzy guitars, For You Too is another upbeat melody with some exceptional, soothing guitar work. It’s an edgy, yet warm track. A change of tack follows with the shimmering, electronic Ashes which cleanses the aural palette for Polynesia #1. A simple VU-style guitar ballad with a beautifully frosty Hubley vocal, it sounds barely there and fragile, and very brief at less than two and a half minutes. Later on in the album, What Chance Have I Got, is in a similar vein, all blushing melodics and sparse atmospherics. The music sounds vague and unfinished, drifting along hazily. Certainly, there are few solid tunes to grab onto here. Much of the album consists of scene-setting pieces like Dream Dream Away and Above the Sound, featuring long instrumental passages and ghostly vocals which drift in and out. These tracks, far from being filler, are actually musical ear candy, and indeed, the wintry-sounding, otherworldly Shortwave pushes the album close to ambient territory. Closer Here You Are acts as a kind of reseponse to opening track You Are Here, and attempts to resolve this gloriously unresolved and confusing album. It’s not an unqualified success. The bossa-nova style jaunty tracks Let’s Do It Wrong and Esportes Casual jar a little, there are a few too many meandering tracks, and a distinct lack of meaty guitar riffs. But credit to them for not settling into the comfortable groove occupied by recent albums Popular Songs and Fade, and instead heading down this experimental road.